This Thursday on #Sussexhour on twitter we asked the question- What would you find useful in a blog? There were many helpful answers, but the one topic that kept coming up was- What gardening should I do in each season? Therefore, we decided to do a monthly feature of tips and advice for each month in the year. We didn't want to bombard you with endless information for the year which you may forget-instead we want to give you bite size pieces of advice that are easy to remember. As we are in April, it makes sense to start from April. Each month we will be bringing you new tips for that month- so we hope you stay with us throughout the year! Why not subscribe to our blog so that you don't miss out on the information. The follow link is on the side bar to the right. So, on with April. Happy gardening! 1. Water your patio containers- check that they are not dry- even with the rain from this month they may still need a good water. Don't neglect your house plants too! 2. 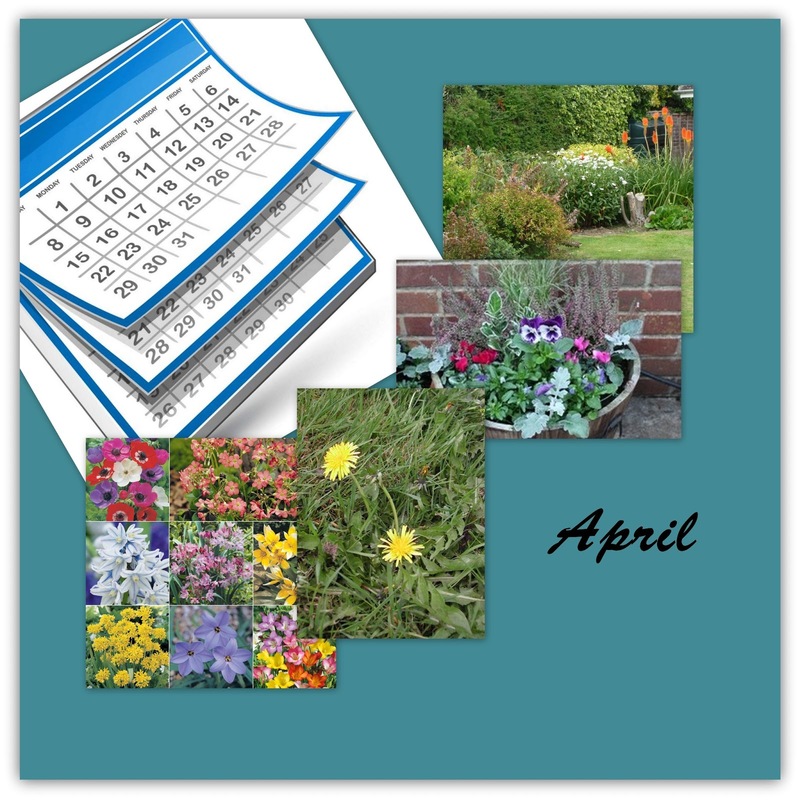 If you haven't done this already, it is time to remove any plants that did not survive over the winter or any winter bedding that you planted that is finished. 3. Time to concentrate on your lawn - edging and mowing when necessary. We cover how to do this properly in our grass cutting blog entry. It is now time to repair patches of lawn too- by raking over the patch, leveling and sowing grass seed. 4. Again, unless done already, there is not much time left to plant summer flowering bulbs. Remember that some soil preparation is needed. We discussed this in our 'Spring Clean' blog here. 5. Time to plant sweet peas outside-if you grew them from seed last October and November. If you didn't you can still buy little plants from the garden centre. Sweet peas are very popular for their summer colour and scent. 6. As the weather gets warmer- treat fences, sheds and trellis' with wood preservative. 7. With a bit of rain and sun those weeds are going to start thriving- so keep them under control by hoeing your borders and digging them up while they are young to prevent them seeding themself. 8. Feed those hungry plants and shrubs! Sprinkle and hoe in blood, fish and bone fertiliser to trees, shrubs and hedges and apply a layer of organic mulch to rose and shrub beds. 9. Prolong the life of your Spring bedding by frequently deadheading bedding plants. 10. It will soon be time to start planning and planting your summer hanging baskets as the weather improves and gets warmer. - We will feature this in a separate blog. Don't forget to subscribe to our blog so that you don't miss out on monthly tips for your garden. Thanks for reading!